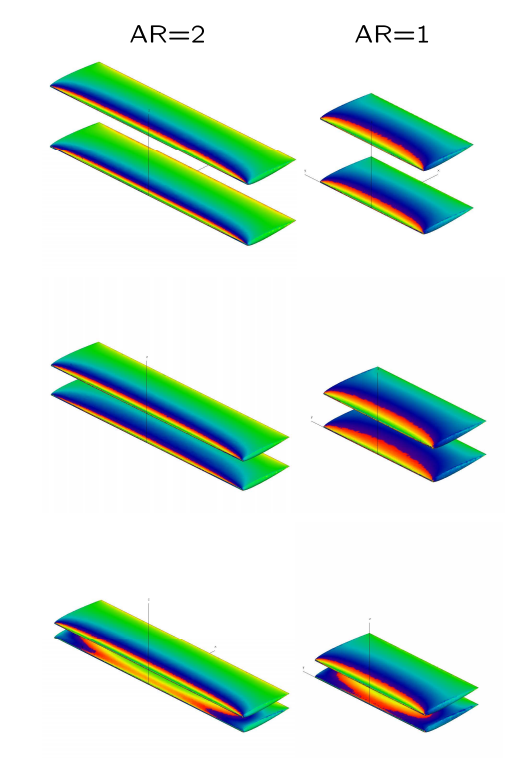 Back in 2006 as part of an independent study course, I used an inviscid CFD solver to estimate the aerodynamic performance of actual low aspect ratio wing configurations. The report (lowargeometryco2006.pdf) was written in a handbook style inspired by the classic Hoerner Lift and Drag books. 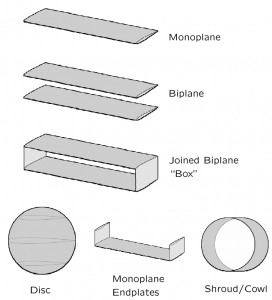 The configurations were: monoplane, biplane, joined-tip biplane “box”, disc, monoplane with endplates, and a shroud cowl. Biplane gap, stagger, and decalage were considered. Performance criteria such as lift slope, induced drag, lift to drag ratio (L/D) were compared for multiple configurations and aspect ratios. 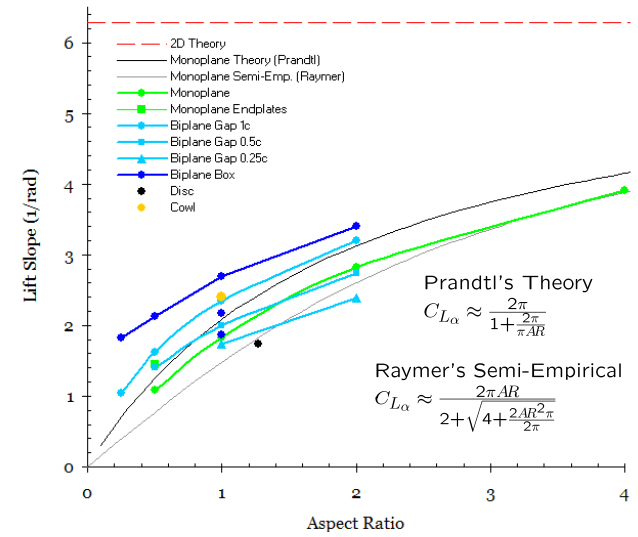 The final portion of the report provides a visual display of the pressures and flow fields near the configurations. Pressure field interference with respect to biplane gap. The full report from 2006 is available: LowARGeometryco2006.